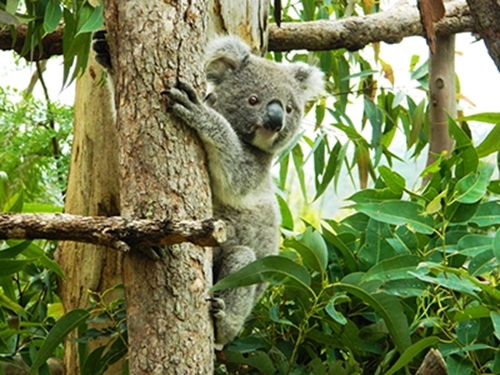 The Comprehensive Koala Plan of Management for south-east Lismore (CKPoM) aims to protect the koala population found in the southeast of the LGA, which is considered one of the most significant on the NSW North Coast. The plan gives us clear direction on how to manage threats to koalas and their habitat. It contains policies and planning provisions which guide how development applications are assessed, incorporating koala conservation principles to ensure koalas have viable natural habitat and food trees in the southeast of the LGA. A CKPoM also details a range of management activities that address threats to koala health and welfare including the clearing of habitat, disease, road accidents and dog attacks. The CKPoM was 18 years in the making and was approved by the NSW Department of Planning in 2013. The CKPoM has been awarded a Local Government Excellence in the Environment Award in the category of Natural Environment Policies, Planning and Decision Making. In 2017 Council commissioned a study on koala habitat and population in the CKPoM area. This study will help to guide management actions outlined in the 2013 Comprehensive Koala Plan of Management.